WizKids is thrilled to announce that the Mage Knight: Ultimate Edition, the most comprehensive version of the critically acclaimed strategy game ever created, is now available in North American game stores! In this game of exploration and conquest, up to four players don the mantles of Mage Knights, warriors who must conquer the cities of the Atlantean Empire in the name of the mysterious Council of the Void. This Ultimate Edition of the classic game designed by Vlaada Chvatil is packed with content, including all three of the game’s expansions, The Lost Legion, Krang, and Shades of Tezla, along with 5 all-new cards. 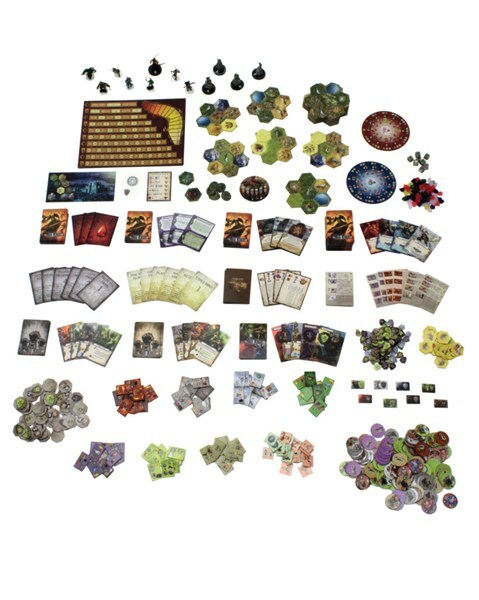 Combining elements of RPGs, deck-building, and traditional board games, the Mage Knight board game captures the rich history of the Mage Knight universe in a self-contained gaming experience. A game of epic exploration and conquest that mixes character development, intrigue, and the clashing of swords, Mage Knight: Ultimate Edition allows players to revisit this exciting setting or experience its thrilling adventures for the first time! Mage Knight: Ultimate Edition is available at your Friendly Local Game Store or online today.